There's no "Mixed Reality" whatsoever. On October 17 Microsoft released the Windows 10 Fall Creators Update. It adds a ton of new features, but the most important may be Windows Mixed Reality. 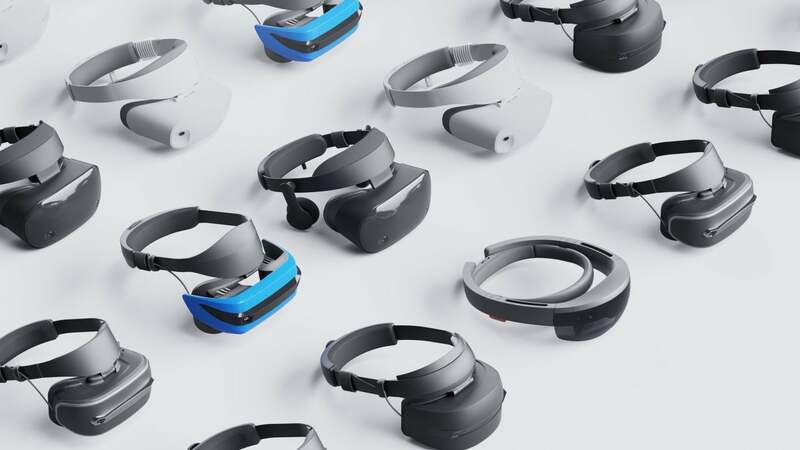 Timed alongside the Fall Creators Update release is the first slate of Microsoft’s Windows Mixed Reality headsets, sourced from third-party manufacturers like Acer, Lenovo, HP, Dell, and more. Now you might be thinking, “I’ve heard of Virtual Reality (VR) and I’ve even heard of Augmented Reality (AR), but what is Mixed Reality (MR)?” And I’ll tell you what Windows Mixed Reality is at the moment, at least as far as the first round of headsets is concerned: A misleading buzzword. Microsoft’s use of “Mixed Reality” is aspirational. Future-proofed. It’s a catch-all term spanning both the virtual and augmented sides of the reality spectrum. The hope, as I understand it, is eventually to bundle the capabilities of VR and AR headsets into one unit—a true “MR” headset. That’s not where we are today though, and Microsoft’s use of “Mixed Reality” to delineate this current batch of headsets invites confusion. They are not “MR” headsets, with dual VR and AR modes. There are no HoloLens-like holograms, no unobstructed view of the world around you. Outside of the HoloLens itself, Mixed Reality's current augmented reality capabilities are limited to software on Windows 10 PCs, like the Paint 3D and the Mixed Reality Viewer apps that let you project digital objects into the real world on your laptop. (And I don’t think this qualifies as augmented reality anyway, as you can’t interact with those objects—they’re just images poorly pasted over your environment). No, these first “Windows Mixed Reality” devices are VR headsets, plain and simple. 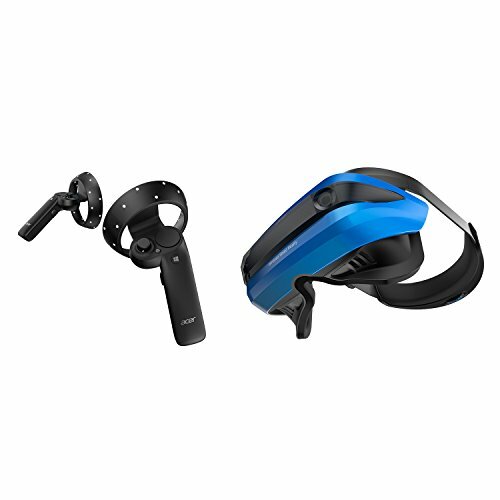 The first Windows Mixed Reality headsets (bottom) are functionally similar to VR headsets like HTC Vive and Oculus Rift (top). Microsoft’s reference design does deviate from the other VR headsets currently on the market. 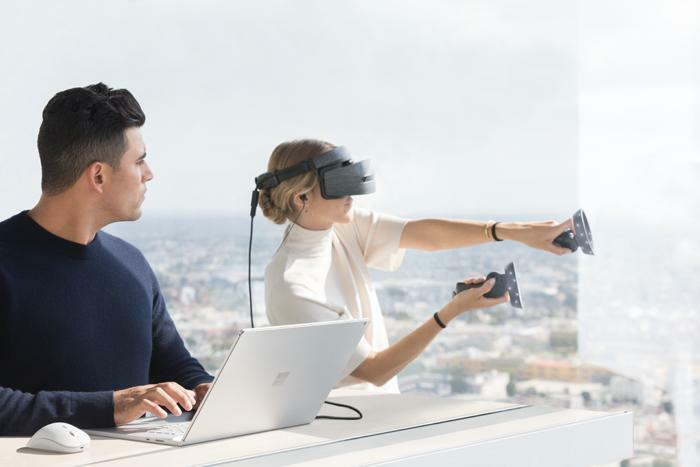 Most notably, Windows Mixed Reality headsets rely on inside-out position tracking by way of cameras mounted on the front of the headset. 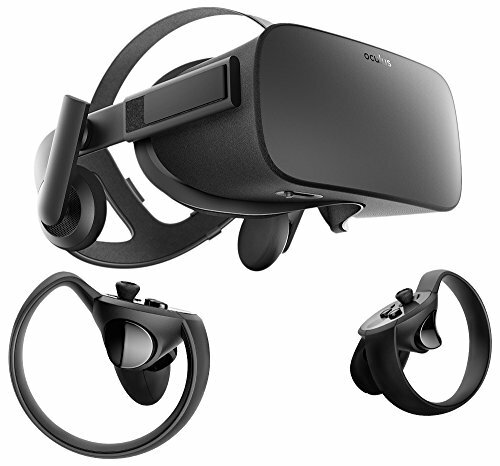 This allows Microsoft’s headsets to be used with minimal setup, whereas the Oculus Rift and HTC Vive require separate base stations to be placed before use. Microsoft’s implementation is superior during setup, but is it superior in performance? 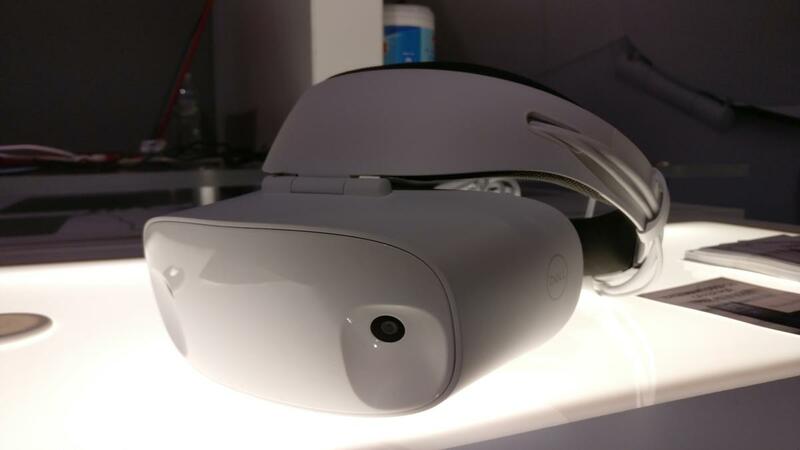 Well, you can read my Dell Visor impressions from PAX if you want a deep dive into Microsoft’s design, but the short answer is “No.” Inside-out tracking solves one problem (base stations) but is less precise, and it also introduces issues with hand-positioning. We’ll have a lengthier review in the coming days, once I’ve spent more time with the release models, though I don’t expect my opinion to shift much. But again, the bigger issue here is that this first batch of Microsoft headsets are simply not “mixed reality” headsets at all. The headsets themselves are completely enclosed and opaque, with a digital world created on the screens inside for you to interact with. This is precisely the same as the Rift and Vive, and I don’t hear anyone calling those “MR headsets.” Because it’s VR. The main function of the cameras on the front of Mixed Reality headsets like this Dell Visor is to track your motion controllers. Microsoft’s usage of the term Mixed Reality is needlessly confusing. I’ve seen this confusion manifest in friends, in coworkers, even in other tech reporters. There seems to be some promise held in the term, an implication that these headsets do include HoloLens-style augmented reality capabilities. After all, if these don’t fit some newfangled genre of device, surely Microsoft would simply call them VR headsets and be done with it, right? Yes, they should—but they haven’t. I don’t know if it’s marketing or merely corporate buzzwording gone mad, but we are left with a class of devices that promise something in their name that literally doesn’t exist and likely won’t exist for many years to come. Hell, HoloLens costs $3,000 for a development kit and still barely functions the way you’d like. We're a long way off from trackerless VR and AR coexisting in the same headset. The closest I’ve seen was CastAR, which promised AR by way of proprietary reflective surfaces, plus VR in the same device by attaching what was essentially a fancy cover—but for all I know that was theoretical. I never saw CastAR’s VR capabilities demoed, and the company doesn’t even exist anymore. The point is: Don’t be duped. If you buy one of Microsoft’s new devices expecting a VR headset? Fine. I’m not sure why you would, at least at launch: Microsoft’s headsets will only work with the Windows 10 Store for a few months until Steam VR support is patched in, which means you are limited to a subset of a subset of VR experiences. Think Windows Phone levels of support. 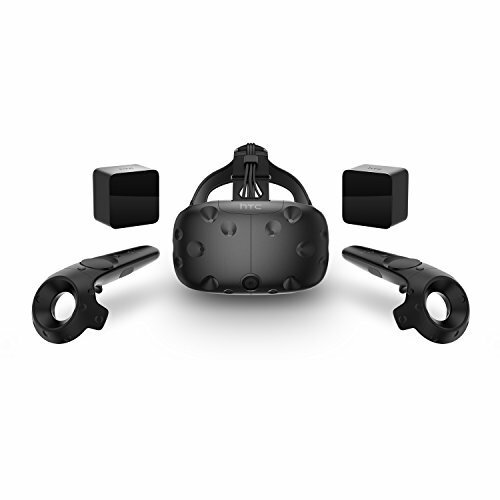 That’s doubly frustrating for anyone who already owns a Vive or Rift, since none of the experiences you’ve already purchased will work until probably late November or even December at the earliest. Oculus Rift’s recent price cut to $400 makes Windows Mixed Reality an even tougher sell for Microsoft. At one point Microsoft seemed like it would have a huge advantage on price compared to existing VR headsets, but now these Windows Mixed Reality devices—even the low-end models—cost as much or more than a Rift when bundled with MR controllers. The Acer model that Microsoft’s pushed as its flagship is $399 with controllers on Amazon, and the Lenovo Explorer bundle costs the same. 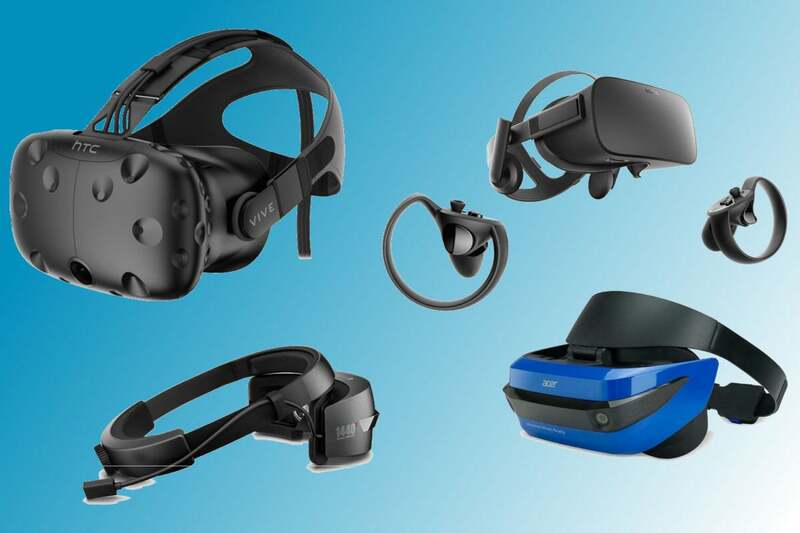 HP and Dell’s WMR kits sell for $449, while the Samsung Odyssey will top the list at $499 when it launches November 6. And unlike the Oculus Rift, most Mixed Reality headsets lack integrated audio. But hey, if you want one over a Rift or Vive, go for it. Just don’t expect a “Mixed Reality” experience, or you will be sorely, sorely disappointed.